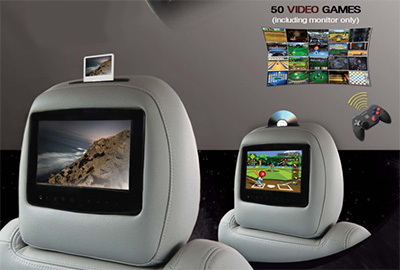 Erickson is an authorized installer of VST Monitors and in car mobile entertainment products as well as Rosen Entertainment Mobile Video solutions. Contact us and we can find the perfect solution for your mobile entertainment needs. 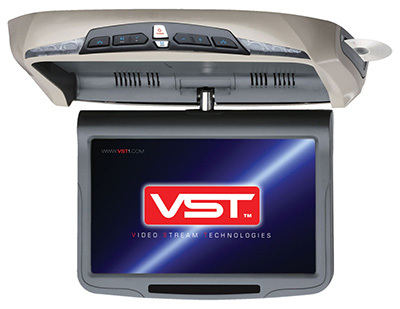 Learn more about VST's products on their website. We have applications for many current vehicles and each system includes an?Industry First Hi-Definition LCD display, tablet-look styling, capacitive touch controls instead of mechanical buttons and the ability to configure the system to meet the vehicle owner?s needs, 2 matching factory headrests with integrated 7.0" LCD Hi-Def display, choice of media source devices, 50 video games with wireless game controller, auxiliary input for external sources, full system controls, 2-way up-down tilt, all-channel FM transmitter to play audio through the vehicles sound system and the ability to add front seat remote controls for each screen, a second auxilliary input for video game consoles, outputs for 2 additional screens and more. Learn more about Rosen Entertainment's products on their website.